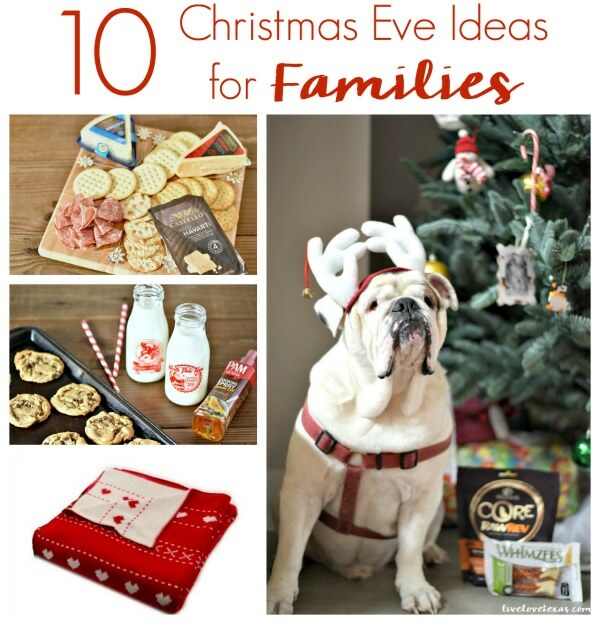 10 Christmas Eve Ideas for Families - Festivities, Food, and Fun! This post with 10 Christmas Eve Ideas for Families is sponsored by BabbleBoxx.com. Somehow we’ve entered the final week before Christmas. Decorations are up, school is nearly out for the year, and gifts have been bought. You’re all ready for Christmas Day, but what are your planning for Christmas Eve? Don’t wait until Sunday and realize you have nothing planned, get inspired with these 10 Christmas Eve Ideas for families! 1. Have antipasto for dinner. There’s no need to spend a ton of time in the kitchen or even cook dinner on Christmas Eve. Save that for Christmas Day. 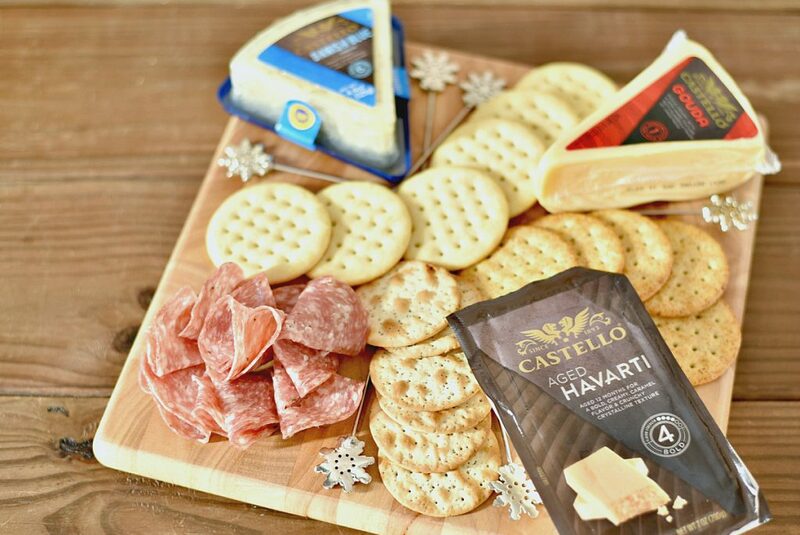 Instead make your meal one that’s full of appetizers with a cheese board filled with an assortment of your family’s favorite small bites like gourmet cheese, crackers, olives, nuts, etc. You’ll want to select a variety of gourmet cheeses for your cheese board based on your family’s preferences. For the littles I’d suggest a creamy cheese like the Castello Aged Havarti and for the adults the Castello Gouda and Castello Traditional Danish Blue for a variety of flavors and textures. If the thought of creating your own cheese board is intimidating, try this Cheese Board Builder which helps you create the perfect cheese board for your flavor preferences and dietary restrictions. Or, you can have the website surprise you with a delicious cheese board complete with a drink suggestion to make things simple yet unexpected. 2. Do a puzzle or play a game. Kids play so many games on electronics that sometimes it’s easy to forget the joy of playing games together as a family. It’s a nice change of pace for Christmas Eve to put down the controllers and interact with each other. 3. Wrap last minute gifts. Kids love to help wrap gifts, so let them. And if you’re worried about how the final product will turn out, let them wrap gifts for the dog if you have one. Our dogs were our kids before we had kids so they still get Christmas presents like the rest of the family. They have plenty of toys at this point, so we like to go with practical, consumable gifts. 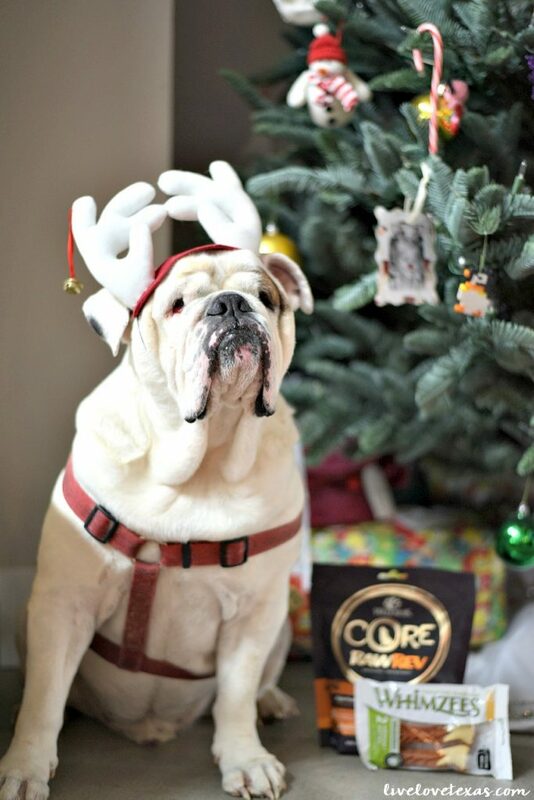 This year they’ll be getting WHIMZEES treats and Wellness: CORE Natural Pet Food. I’d recommend WHIMZEES for all dogs but especially those that require a special diet like Dude or have teeth issues like Bunny. WHIMZEES are great for allergy prone dogs because they have only six primary, all natural ingredients, and for dogs with oral issues because these help freshen breath, promote gum health, and clean teeth. And Wellness pet food is an easy and convenient way to add raw protein into your dog’s diet. This is another great product for those with allergies as it is 100% grain free with no fillers. 4. Watch a Christmas movie. You can either find a new movie to watch, let the kids pick, or watch a family favorite. When I was growing up, our family tradition was to watch Christmas Vacation. While my kids are still a bit young for the humor, having a movie that you can watch every year without fail is the stuff memories and traditions are made of. Make your holiday decor pull double duty by gathering the throw pillows and blankets and get comfy and cozy together as a family. 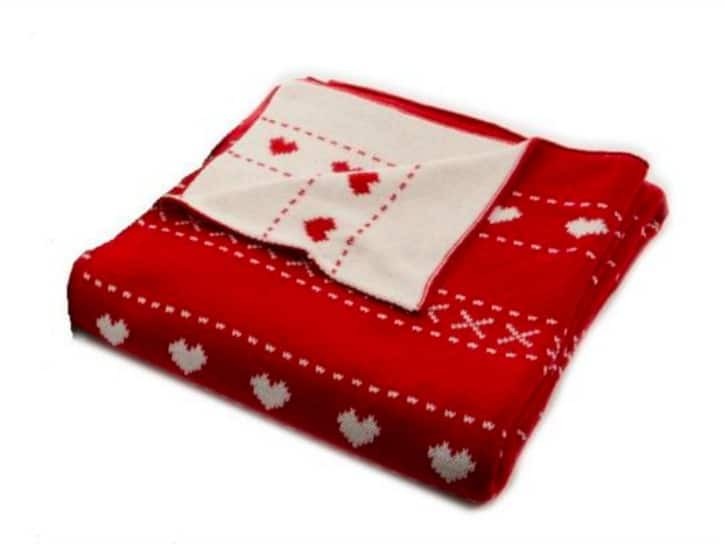 I like to make sure things like throw pillows and blankets can work for more than just Christmas so I like classic colors and designs like the blanket above from Christmas Central Holiday Decorations which could also be used at Valentine’s Day, or even all winter long because of its simple design. 5. Open one gift. Growing up I always had a hard time waiting until Christmas morning to open gifts. So every year on Christmas Eve I was allowed to pick one gift to open up to hold me over until the following day. We let our kids do this as well too as just a little taste of Christmas morning. 6. Go to a Christmas Eve service. Sing Christmas carols and hear the Christmas story retold. This can be made even more special and memorable by finding a candlelit service or live nativity. Don’t forget the milk. 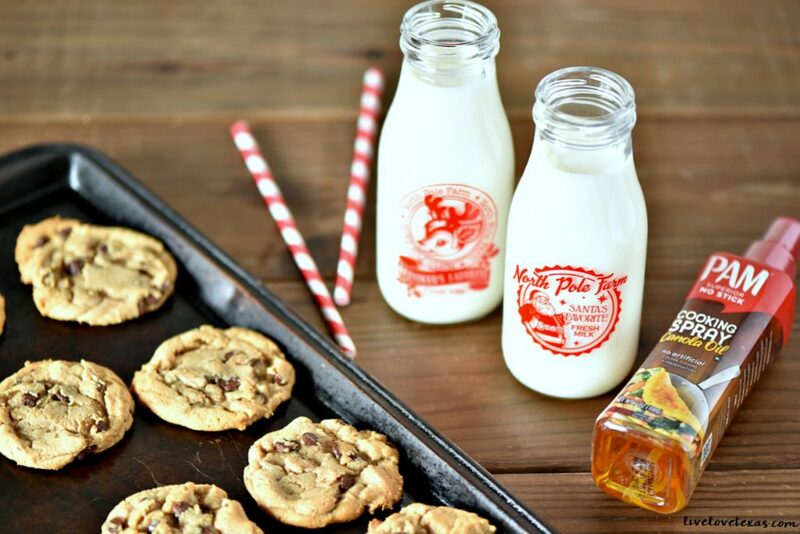 Santa’s going to need some milk to wash down those cookies with and what cuter way to serve it than in these Christmas milk bottles? I love the vintage look of these bottles and how festive and special the presentation is of leaving Santa some milk to drink with them. You can grab your own glass milk bottles or the cute snowflake holiday picks from my cheese board on the Cracker Barrel website. 8. Drive around and look at Christmas lights. Put the kids in PJs and drive around looking at Christmas lights while drinking hot cocoa. If you live in a warm climate or the houses in your neighborhood are fairly close together, you could always walk around and check out the lights that way instead. 9. Track Santa’s trip around the world. Since 1955 NORAD in Colorado Springs has been tracking Santa’s journey around the world on Christmas Eve with satellites, high-powered radar, jet fighters, and special Santa cams. 10. Read The Night Before Christmas. Before tucking the kids in for a few hours sleep, read the Christmas classic, The Night Before Christmas as their bedtime story. Do you have any other Christmas Eve Ideas for Families? Share them with me on Facebook and let’s keep the conversation going!